Shps (Fig. 1A) all have two SH2 domains at their N termini (hereafter, N-SH2 and C-SH2), a classical protein-tyrosine phosphatase (PTP) catalytic domain, and a C-terminal tail (C-tail). The Csw PTP domain is split by a cysteine/serine-rich insert («150 amino acids) that is unrelated to known protein motifs . The function of the Csw insert is unknown, but its conservation in other Drosophila species implies an important role, perhaps in protein-protein interaction. Because vertebrate Shp2 orthologs lack an insert, its function either is specific to insect signaling pathways or is encoded on another vertebrate protein. Some csw splice variants fail to encode the insert, suggesting that it is important only in some signaling pathways (L. Perkins, personal communication). Shps also differ in their C-tails (Fig. 1A, B). Shpl and Shp2 have two tyrosyl phosphorylation sites in this region, which are phosphorylated differentially by RTKs and nonreceptor protein-tyrosine kinases (PTKs) [6,7,16-23]. The Csw C-tail retains only the more proximal tyrosine (Y542 in Shp2), whereas Ptp-2 lacks both sites. Shp2 and Csw (but again, not Ptp-2) have proline-rich domains that may bind SH3-domain-containing proteins, although specific interacting proteins have not been reported. Shp1 lacks a proline-rich domain but has a basic sequence that functions as a nuclear localization sequence (NLS) [24,25]. Figure 1 The Shp family. (A). Schematic structures of Shp family members. The SH2 and PTP domains and C-tail are indicated, and the relative positions of tyrosyl phosphorylation sites, proline-rich domains, and nuclear localization sequences are shown. (B) Features of Shp C-tails. Shown are sequences surrounding potential tyrosyl phosphorylation sites and proline-rich domains. Also shown is the potential bipartite NLS found in Shp1, but not other family members. Shp2 and its orthologs are expressed ubiquitously, although at variable levels in different tissues [5,6,8,13]. Shp1 is more restricted, with high levels in hematopoietic cells, lower amounts in most epithelia and some neuronal cells, and few or none in fibroblasts [2,4,26]. The Shp1 gene has two promoters that function in a tissue-specific fashion, generating Shp1 isoforms with slightly different N termini [27,28]. In humans, the more 3' (downstream) of these promoters is expressed only in hematopoietic cells, whereas the upstream promoter is expressed only in epithelia. The murine 3' promoter may be active in epithelial cells as well, but the upstream promoter retains epithelial-specific expression . A third Shp1 isoform, generated by alternative splicing, has a C-terminal extension . Splice variants within the PTP domain of Shp2 and Csw also have been defined [5,13,30]. The Shp2 isoforms reportedly have different PTP activities , but their physiological significance has not been determined. Although differential expression may explain some differences in the roles of the Shps, they clearly are not the whole story. Many cells and tissues, particularly hematopoietic cells, express high levels of both Shps, yet the consequences of loss of either molecule are strikingly different. Not surprisingly, the SH2 domains of Shps target them to phosphotyrosyl-containing (pTyr) proteins. Little is known about the binding properties of invertebrate Shps, but multiple proteins are known to bind the SH2 domains of the mammalian orthologs. Most fall into three distinct categories: receptors (RTKs or cytokine receptors), scaffolding adapters (e.g., IRS, DOS/Gab, and FRS proteins), and so-called immune inhibitory receptors (commonly termed inhibitory receptors). The latter comprise a large number of glycoproteins, first described in immune cells, hence the name . However, several inhibitory receptors are expressed more widely. Some Shp-binding proteins (e.g., Shpsl/Sirpa, Pir-B) bind both Shps [32-35], whereas others (e.g., Gab/Dos family proteins) exhibit specificity in Shp binding . Unlike the case for most SH2 domains, residues at both the N and C terminals of pTyr contribute to binding. The consensus for binding an Shp SH2 domain conforms to the immunoreceptor tyrosine-based inhibitory motif (ITIM), I/V/L-X-pY-X-X-I/V/L [37-45]. However, why some pTyr-peptides that fit the ITIM consensus bind the N- vs. C-SH2 of one or both Shps had remained unclear. Recently, mass spectrometric screening of a combinatorial peptide library was used to assess the specificity of the N- and C-SH2 domains of Shpl . This novel approach, together with direct affinity measurements, suggests a single consensus for binding to the C-SH2 (V/I/L-X-pY-A-X-L/V) and two distinct motifs for the N-SH2 (L-X-pY-A-X-L and L-X-pY-M/F-X-F/M). Notably, in this analysis, the N-SH2 strongly prefers Leu at Y-2 (although Ile, Val, and Met substitute equally well in direct binding assays), whereas peptides with other hydrophobic residues at -2 can bind the C-SH2. Importantly, these consensus sequences show strong agreement with earlier binding studies of known Shpl-interacting proteins. It will be interesting to apply this approach to the SH2 domains of Shp2. A recent study did assess Shp2 SH2 domain binding, using a different combinatorial method. This analysis locked in a valine at Y-2, preventing assessment of the relative contribution of this position to binding . However, it did reveal similar binding preferences for the two SH2 domains, with positions +1 (threonine/alanine/ valine), +3 (valine, isoleucine, leucine), and +5 (tryptophan, phenylalanine) being most important for specificity. Although the same general consensus appears to apply to N- and C-SH2s of Shp2, the two domains differ quantitatively in their preferences for individual amino acids at each position. Consistent with previous binding  and structural  studies, and in marked contrast to many other SH2 domains, selection for residues at the +5 position (which was not tested in the earlier work on Shp1 binding preferences) was quite strong. Surprisingly, however, there was no apparent preference for acidic residues at the +2 and +4 positions, in contrast to earlier work on Shp2 binding sites in IRS-1, which identified Y1172 (YIDLD) as the optimal site . Some reported Shp SH2-domain-binding interactions fail to follow the above rules. CTLA-4 reportedly binds Shp2 via a G-X-pY-X-X-M motif . Mast cell function-associated antigen (MAFA) contains an ITIM-like motif with Ser at Y-2, and a pTyr peptide bearing this sequence can bind to both Shps . Also, Shp1 reportedly binds several tumor necrosis factor (TNF) family (death) receptors via a conserved A-X-pY-X-X-L motif. Even more surprisingly, binding could be competed by a short peptide lacking any residue at Y-2 . 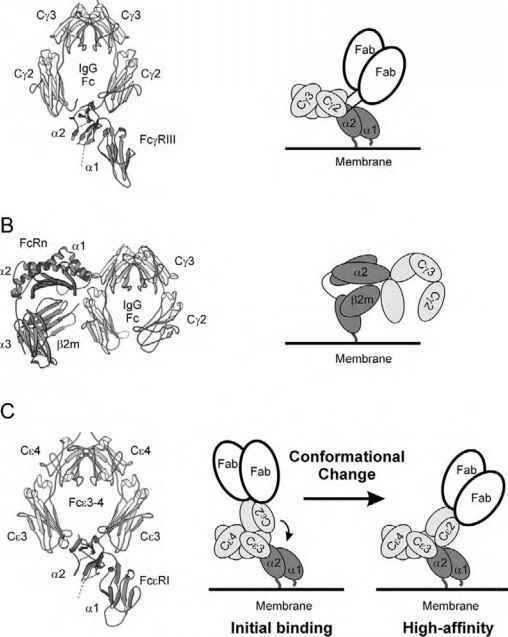 These reports stand in marked contrast to earlier studies, which revealed an essential role for positions upstream of pTyr [39,53,54] and a specific requirement for hydropho-bic residues at the -2 position. Conceivably, some of these nonconforming interactions are indirect, but further work is required to resolve these inconsistencies. Additional complexity arises from the ability of some ITIMs to bind to the SH2 domain of the inositol phosphatase SHIP; however, the SHIP SH2 does not require a hydrophobic residue at the Y-2 position [51,53-55]. Also, leucine at the Y+2 position favors SHIP binding , whereas biden-date ligands enjoy an obvious avidity advantage for Shps. The binding sites for Shp2 and the E3 ubiquitin ligase SOCS3 on several cytokine receptors also overlap [57-61]. Peptide library screening confirms the similar specificity of the Shp2 and SOCS3 SH2 domains, although pTyr peptides with considerable (>30-fold) specificity for the latter can be identified . SOCS SH2 domains bind with markedly higher affinity than Shp2 to these shared binding sites . Nevertheless, the overlapping specificity of their SH2 domain has complicated analyses of the respective roles of the Shps, SHIP, and SOCS proteins in several signaling pathways. Shps have very low basal activity, but addition of a pTyr ligand for the N-SH2 substantially enhances catalysis [48,62-65]. Appropriate bis-phosphorylated (bidentate) pTyr ligands have an even greater effect, resulting in a « 50-fold increase in activity . Comparable stimulation results from N-SH2 truncation [63,64,67,68]. A molecular explanation for these findings was provided by the crystal structure of Shp2 lacking its C-tail (i.e., containing the N- and C-SH2 and PTP domains) . In the structure, the backside of the N-SH2 (the surface opposite the pTyr-peptide-binding pocket) is wedged into the PTP domain. This physically and chemically inhibits the catalytic cleft, and contorts the N-SH2 pTyr-peptide-binding pocket. Thus, in the basal state, the PTP domain is inhibited by the N-SH2, and pTyr-peptide binding is incompatible with binding of the N-SH2 backside to the PTP domain. The C-SH2 has minimal interactions with the PTP domain, and its pTyr-binding pocket is unperturbed in the basal state. Thus, the C-SH2 probably serves a search function, surveying the cell for appropriate pTyr targets. If it binds to a bidentate ligand (one that also has an N-SH2 binding site), the effective increase in local concentration of the N-SH2 ligand can reverse inhibition by the PTP domain, allowing release of the N-SH2 and enzyme activation. Recent studies support such a model for Shp1 interactions with gp49B . Alternatively, high-affinity lig-ands for the N-SH2 might be able to cause activation in the absence of C-SH2 binding (Fig. 2A). Figure 2 (A) Regulation of Shps. Drawing illustrates regulation of a prototypical Shp by a pTyr peptide. In the basal state, the Shp is largely inactive, because the backside of the N-SH2 is inserted into the catalytic cleft. 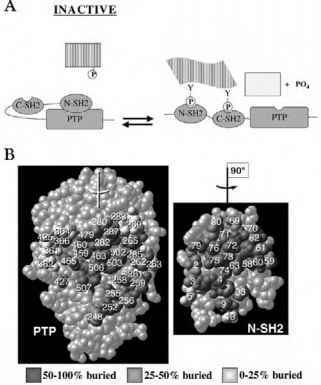 This results in mutual allosteric inhibition, with the N-SH2 inhibiting the PTP domain and the PTP domain contorting the pTyr binding pocket of the N-SH2, which is on the opposite surface. The C-SH2 is left essentially unperturbed in the basal state, with its pTyr-peptide binding pocket in a conformation suitable for binding an appropriate ligand. Most likely, the C-SH2 has the primary targeting function to most binding proteins. If an appropriate binding protein has an adjacent pTyr peptide sequence capable of binding the N-SH2, the increase in local concentration overcomes the mutual allosteric inhibition, resulting in opening of the enzyme and activation. For further details, see text. (B) Location of mutations in Noonan syndrome. Shown is an "open book" representation of the Shp2 crystal structure in which one is looking directly onto the surfaces of the N-SH2 backside loop and the PTP domain involved in basal inhibition. The positions of known Noonan syndrome mutations (e.g., D61G and E76D) can be found in these domains. Note the high correspondence between NS mutations and residues involved in basal inhibition. 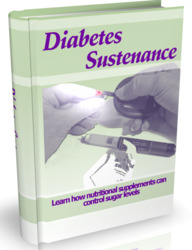 (Figure courtesy of S. Shoelson, Joslin Diabetes Center). has yet to be solved, but all of the N-SH2 and PTP domain residues involved in basal inhibition are either identical or highly conserved between the two Shps . An Shpl PTP domain structure has been reported . Its similarity to the Shp2 PTP domain and the stimulatory effects of pTyr pep-tide binding and N-SH2 truncation on Shp1 activity strongly suggest that the molecular details of Shp1 regulation are analogous. The effects of C-tail tyrosyl phosphorylation remain controversial. Insulin receptor-induced tyrosyl phosphorylation of Shpl (at Y536) stimulates activity , although others  found no effect of tyrosyl phosphorylation, perhaps due to autodephosphorylation. One group  reported that tyrosyl phosphorylation of Shp2 increases activity, but this study could not distinguish the effects of phosphorylation from SH2 domain association. Recently, protein ligation techniques were used to replace Y542 or Y580 of Shp2 with a nonhydrolyzable pTyr mimetic . Phosphorylation at either position was found to stimulate catalysis by two- to threefold (the same fold stimulation observed with a stimulatory pTyr peptide in these experiments). Mutagenesis, combined with protease resistance studies, suggested that stimulation by pY-542 involves intramolecular engagement of the N-SH2 domain, whereas pY-580 stimulates activity by binding to the C-SH2. Although these studies are novel and provocative, they are difficult to reconcile completely with previous studies. It is unclear how pY-580, upon engaging the C-SH2, would cause enzyme activation while the N-SH2 remains wedged in the PTP domain; notably, pY580-phosphorylated Shp2 is further activated by a pTyr peptide for the N-SH2, suggesting that the N-SH2/PTP domain interaction mechanism remains intact. The Shp2 crystal structure provides no obvious explanation for how C-SH2 engagement could affect catalytic activity, and previous enzymological studies showed no effect of C-SH2 engagement alone [65,69]. Also, given the closed conformation of Shp2 in the absence of pTyr-peptide binding, it is difficult to see how binding of pY542 to the N-SH2 leads to increased proteolytic susceptibility. Further work will be required to resolve these issues. Serine-threonine phosphorylation of the Shps also has been reported. Shp1 undergoes serine phosphorylation in response to PKC agonists [74,75], and phosphorylation may inhibit catalytic activity , although this was not noted by others . Specific PKC isoforms phosphorylate Shp2 in vitro [76,77] and in transfected cells . Mutagenesis suggests that S576 and S591 are the sites of phosphoryla-tion, but mutation of these sites has no apparent effect on catalytic activity or biological function . Extracellular signal-regulating kinase (ERK)-dependent phosphorylation of Shp2 was reported by one group  to be inhibitory, but not to be by another . The sites of serine-threonine phosphorylation were not identified, but sequence analysis predicts these are likely within the C-tail. Shp2 is required for ERK activation in many signaling pathways, raising the possibility that phosphorylation of Shp2 by ERK is part of a negative feedback loop. Certain phospholipids, particularly phosphatidic acid, stimulate Shp1 (but not Shp2)  by binding to a specific high-affinity site within the C-tail . The physiological significance of phospholipid binding remains to be determined, although one intriguing possibility is that it relates to the reported ability of Shps to be excluded from lipid rafts [81-83]. The C-tail of Shp1, but not Shp2, has a functional NLS. Substantial amounts of Shp1 are found in the nuclei of epithelial cells  and tissues [84; H. Keilhack and B.G.N., unpublished observations], whereas under basal (randomly growing) conditions Shp1 is cytoplasmic in hematopoietic cells [24,25,74]. However, cytokine stimulation can result in nuclear translocation of Shp1 in hematopoietic cells . Translocation occurs with delayed kinetics (>1 hr poststimulation), which might reflect a requirement for synthesis of a new protein to promote nuclear inport or repress nuclear export. Most studies of Shp signaling have focused on immediate events following receptor stimulation; this new work argues that attention should be paid to later events as well. Besides these conventional mechanisms of regulation, Shp2 (and other PTP family members) may be regulated by reversible oxidation. Increasing evidence suggests that hydrogen peroxide and other reactive oxygen intermediates (ROIs) are generated upon growth factor and cytokine stimulation and act as second messengers . A recent study showed that Shp2 undergoes transient inactivation by ROI in response to platelet-derived growth factor (PDGF) stimulation of Rat 1 fibroblasts, and argued that Shp2 inactivation is required for normal PDGFR function in these cells . However, other work indicates that Shp2 plays a signal-enhancing role in PDGF signaling [87-90]. Further studies are required to clarify these discrepancies and to test whether Shps are targets for ROIs in other pathways.